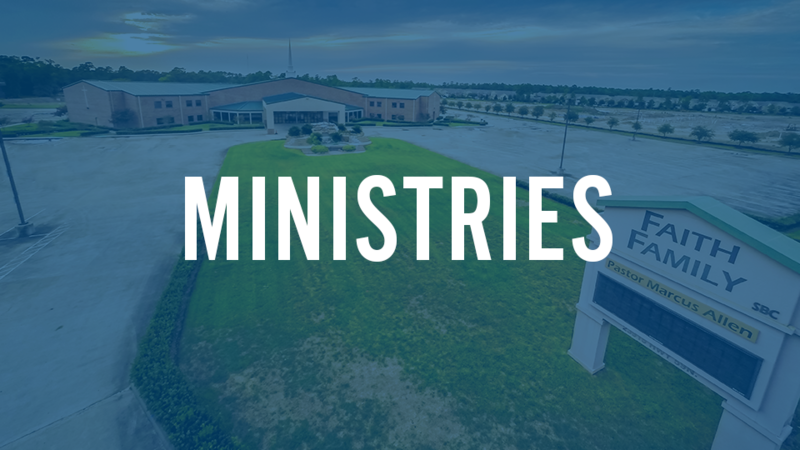 Faith Family Baptist Church strives to be gospel-centered in all areas of ministry. Our desire is for our ministries to point to Christ and His saving work as the means to a relationship with God AND as the means to joyful obedience in that relationship. Christ’s work accomplished everything needed for our victory over sin and death. His power has freed us from the chains of sin and clothed us in His righteousness. Our hope is that each ministry you participate in at Faith Family will encourage you to live in the victory that is yours in Christ.